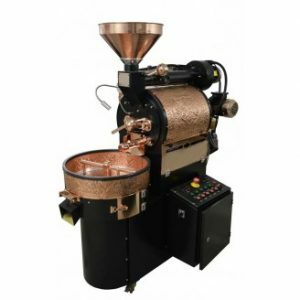 Coffee roasting requires two important ingredients — an exceptional fresh green bean and an experienced Roast Master. It’s no accident that great coffee roast masters are usually great chefs and wine lovers that live in the world of flavour. And our roast master Wallace Mark is no exception. Give him a call and he’ll tell you exactly how he roasts your beans but don’t expect a short conversation, once he gets going theres no stopping him (remember he sips coffee all day long). The sel ection of our raw beans starts with samples from mountain plantations. Each candidate bean gets sniffed, slurped and vetted through silver tasting spoons hundreds of times each day in our roasting facility. The delicate handpicked beans containing sugars and natural perfumes are cracked in our old-school cast iron drum roaster. Through this transformation we constantly evaluate the colors, aromas, sounds and shapes. Finally the beans are set free from the roasting drums into the world when sweetness and nuance emerge in our cooling trays. The coffee beans literally sing. When we talk about Fresh Valley Roasted Coffee™ we stand by our commitment to ship our beans the same day they are roasted. The time between our roaster and your coffee cup is the most important variable in determining an extraordinary coffee experience. This is our pledge to you. It’s what makes us different from the big coffee companies and what keeps customers referring us to their family and friends. 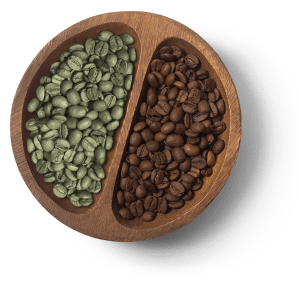 Be sure to check out our Brewing Tips to learn valuable insights on how to grind and press our fresh hand roasted beans so as to deliver your perfect cup of coffee.